Lori's Happy Place: Can't Sleep!!!! Bought a bunch of new Copic Sketch Markers today. Woohoo!! I think I am up to 33 now. Sshhhhh!!! Don't tell my better half. The laundry lady was just kinda how I felt tonight - totally wiped out!!! WOW! This is GORGEOUS, Lori! 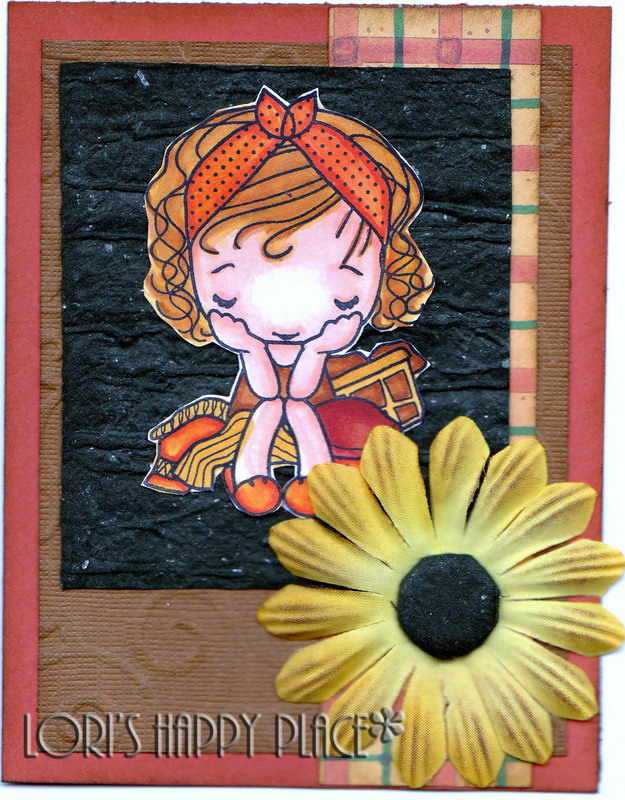 The texture on this is fabulous and your coloring is GORGEOUS! Markers? What markers? LOL!!! HOW FUN you did the C4C-thank you so much for playing along with us! I am so excited! Too, too sweet!! Thanks for playing C4C! I feel the same way when I do laundry. Great job!